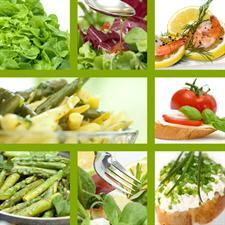 Balancing your diet when you are first diagnosed with diabetes can be tricky. However, although the food choices you make will be important, you should still be able to eat a healthy diet and a wide range of foods – including carbohydrates such as bread. In fact, Diabetes UK actually recommends that people living with both type one and type two diabetes include starchy carbohydrates such as bread, pasta, chapatis, potatoes, yam, noodles, rice and cereals in each meal. Choosing foods which release their energy from carbohydrates slowly can help to stabilise blood glucose levels in people with diabetes. These types of foods have a lower glycaemic index. We’ve outlined some frequently asked questions about this type of approach to eating below. The Glycaemic Index (GI) ranks foods based on their overall effect on blood glucose levels. Foods where the glucose is absorbed slowly into the bloodstream are said to be low GI rating, whilst foods where the glucose contained in them is absorbed more quickly will have a higher rating. The standard rating is based on glucose, with has a rating of 100. Other foods are ranked against this figure. Not all carbohydrates are the same in terms of their GI – some have a higher rating than others. Why is it important that diabetics or people at a risk of developing diabetes understand the glycaemic index? Slow releasing carbohydrates help your body to absorb the glucose contained in them more slowly, which can help to keep your blood sugar levels stable in between meals, reducing the risk of hypos. This can also help to reduce the risk of developing type 2 diabetes in those susceptible to it. How do I find out which foods have a low or high GI? There are many different books available to purchase which list the GI of different foods. These only give the GI of a food when it is eaten by itself, but we eat most foods as part of a meal. Bread, for example, is very rarely eaten without any accompaniments. Therefore cutting out all foods with a high GI is not the answer – doing that could lead to eating an unbalanced diet which is high in fat. The addition of fat and protein can lower the GI of a food. Milk and dairy products have a low GI because of their fat and protein contents. Therefore adding butter to bread could reduce the overall GI. How you cook a food can also alter its GI and also the amount of processing that it has undergone. For example, flour has a relatively high GI whereas some flour based foods such as pasta have low GIs. Eating to control diabetes isn’t just about the GI of a food. It’s about ensuring that you eat balanced meals. You can still eat high GI foods such as jacket potatoes and white bread but try to eat them with food that will lower the overall GI of the meal in question. For more information on diet and diabetes and for helpful tools such as a carbohydrate counter, you can visit Diabetes UK’s website.